A hands-on and practical tutorial that shows administrators how to implement and use 3CX and its range of functionality. Using real world experiences from the authors, you will learn tricks and tips that will help you develop and optimize your 3CX system. 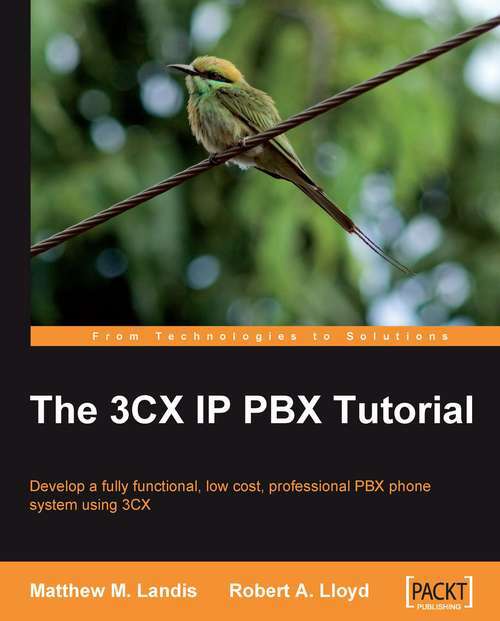 This book is for beginners who know nothing about 3CX or VoIP. It will guide them to set up a complete system. Advanced users will also gain insight from information on real-world hardware and software tips and tricks.